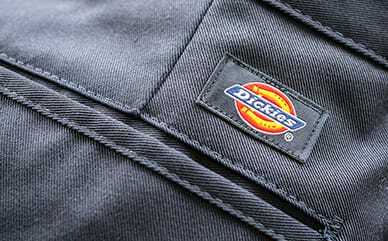 Dress unique on the day you decide to dress down with Dickies Girl Juniors’ Spray Logo Hoodie. Made with superior construction from a cotton blend that stays durable, this hoodie is nothing like you’ve seen before. The logo screen print appears to be sprayed on, giving it an eye-popping look that can’t be missed.